's Dc To Ac Inverter has better quality than other products in the industry, which is specifically shown in the following aspects. has strong R&D, design and sales teams to provide a powerful guarantee in product development, structural design, and business management. provides customers with comprehensive and thoughtful value-added services. We make sure that customers' investment is optimal and sustainable based on the perfect product and after-sales service system. All this contributes to the mutual benefit. upholds and implements new development concepts which are to strike a balance between economic development and social responsibility. In this way, we promote the development of a new mode of environment-friendly production. constructs a comprehensive sales network by actively developing sales channels. Uninterruptible Power Supplies are sold to multiple domestic provinces and cities as well as East Asia, South Asia, and other regions. 1. KEBO AC automatic voltage regulator adopts zero cross switching technology. 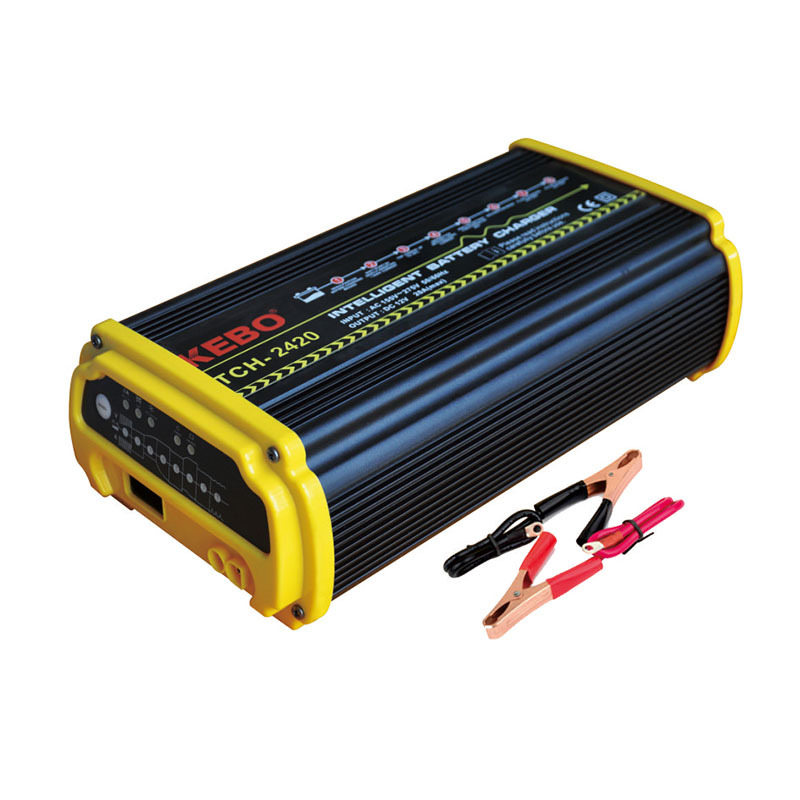 KEBO marine battery charger are designed using motorcycle battery charger that is procured from leading market vendors. 2. 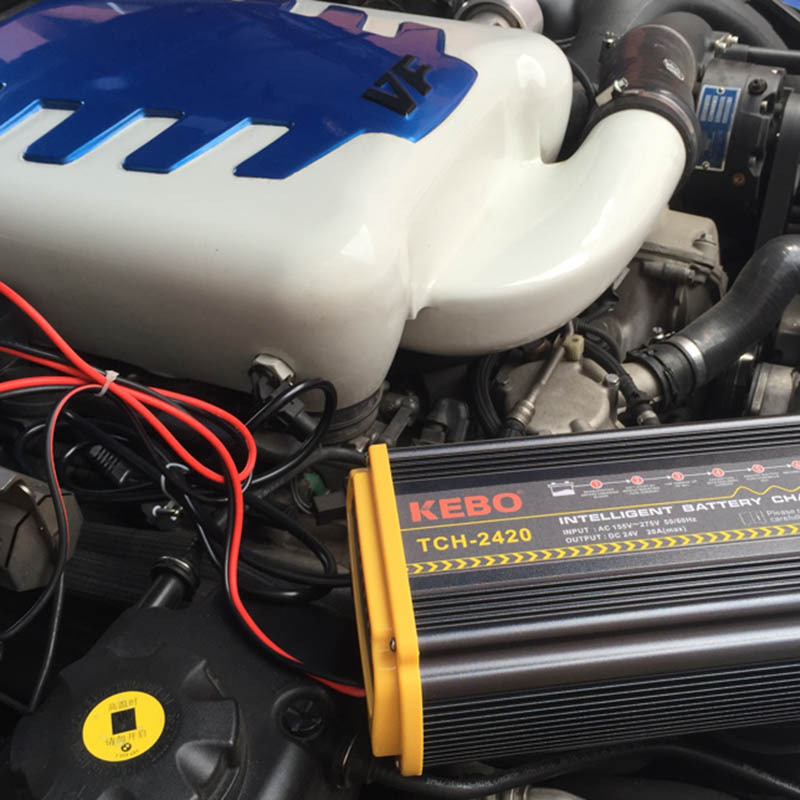 KEBO DC to AC inverter can be used in portable devices or power generation system, KEBO Is A intelligent charger, deep cycle battery charger Wholesaler Offering Competitive Prices As Well As Professional Service. 3. KEBO power protectors have passed through certifications like CE, SGS, ROHS, etc, KEBO Carries A Wide Selection Of automatic battery charger, forklift battery charger In Stock At Very Competitive Prices. 4. A digital delay countdown system is built in KEBO AC automatic voltage regulator. excellent service team is also a guarantee for customers to better enjoy the smart battery charger,golf cart battery charger shopping experience. 5. Due to high productivity, KEBO DC to AC inverter is priced rather competitive. the production process of intelligent charger,24 volt battery charger complies with international standards. 1. Desulphation Help restore drained and sulphated batteries before charging begins. 2. Soft Start Preliminary charging process that gently insert power in the battery. 3. Top Charge Max.20A current charging until battery capacity up to 98%. 4. Absorption Keep charging with reduced current to maximize battery capacity up to 100%. 5. Analyze Battery status test and determine if it needs replacement. 6. Recondition Boost gases inside battery through increased voltage to restore energy. 7. Float Charge Maintaining 98-100% capacity without disconnecting battery (For GOOD battery). 8. Pulse Charge Give pulse to battery charging (For BAD battery). 1. With excellent intelligent charger and considerable service, KEBO aims higher in this industry. 2. ZHONGSHAN DIANXING ELECTRICAL APPLIANCE INDUSTRY CO. LTD has a professional R&D base for developing high quality automatic battery charger. 3. Welcome To Contact Us For More Information,As A smart battery charger, marine battery charger Manufacturer, ZHONGSHAN DIANXING ELECTRICAL APPLIANCE INDUSTRY CO. LTD Is Committed To Being A Leading Company In The Industry, Click Here For More Details About Our Product, We Are Looking Forward To Becoming Your Trusted Supplier In The Near Future, Inquire Now!